I received this book as an advance review copy from the publisher through net Galley in exchange for an honest review. 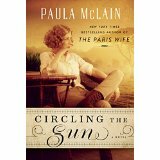 I loved McLains’ The Paris Wife so much and I was so happy to receive Circling The Sun from the publishers. I was not disappointed! First- this makes me want to read, and then watch Out of Africa, which I never have. Then I want to read Markham’s own memoir West with the Night. The author has presented an amazing description of aAfrica in the early 20th century, as well as one of the Europeans who either treated it as a part of heaven, or a playground for the wealthy and bored. Beryl Markham lived an amazing life. She grew up on a farm in Kenya, raised only by her somewhat neglectful father after her mother leaves them to return to England. She was permitted to run wild, learning how to hunt and shoot with the native boys. When her father tries to send her to school in her teens, she repeatedly runs away until she is kicked out. She lived her life in such an unconventional way, at at time when there weren’t many choices for women living on their own. She did marry two times- both were very unhappy and ended quickly. Markham had many affairs, but was only made truly happy but three things- horses, Denys Finch- Hatton, and flying. This might be one of my favorite books of the year so far. The writing was wonderful and the author obviously did a meticulous job with her research. My favorite part of the book is the descriptions of Africa, and the obvious love Markham had for it. I would definitely recommend this book. 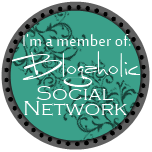 A big thank you to Ballantine Books and Net Galley for sharing it with me!